The Interregional Scientific Conference was held at the Educational and Research Institute of Physical Education and Sports. 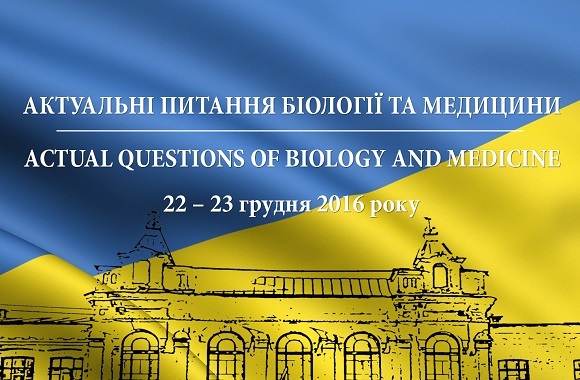 The XIV Interregional Scientific Conference “Actual Questions of Biology and Medicine” was held on December 22 – 23. The Department of Anatomy, Human and Animal Physiology and the Department of Physical Rehabilitation and Human Health organized it. The conference participants presented current scientific achievements, theoretical and practical developments in the field of biology and health, presented scientific schools and discussed prospects for the development of biological and medical science. The conference was attended by representatives of universities and research institutions of Ukraine, Belarus, Poland and Georgia (Bogomolets National Medical University (Kyiv), Lviv Ivan Franko National University, Lviv State University of Physical Culture, Danylo Halytsky Lviv National Medical University, Dnipropetrovsk State Medical Academy, Mykolayiv National University named after V.O. Sukhomlynsky, Bukovinian State Medical University (Chernivtsi), I.I. Mechnikov Odessa National University, National University of Pharmacy (Kharkiv), Kherson State University, Uzhgorod National University, Kharkiv Medical Academy of Postgraduate Education, Vinnitsa National Medical University, Kharkiv Institute of Microbiology and Immunology named after I. I. Mechnikov, Sokhumi State University (Tbilisi, Georgia), Institute of Biology and Environmental Protection, Pomeranian University in Słupsk (Słupsk, Poland), Brest State University named after A.S. Pushkin, etc.). The conference results will be presented in the scientific collection “Actual Questions of Biology and Medicine”, which will be posted on the website of the Department of Anatomy, Human and Animal Physiology.